The next time you go out to buy an Android smartphone, you’ll be offered a new mobile connection form Anil Ambani’s owned Reliance Communication. This is thanks to the two-year deal that RCOM and Google that has been signed which says that every Android powered smartphone that Google sells in India will be offered bundled with a connection from RCOM. This offer applies to all major device manufacturers like Samsung, HTC, Sony and LG who have their devices running on Android OS. There will always be an option to use these devices with other operators and the buyer of the device can switch to it anytime. 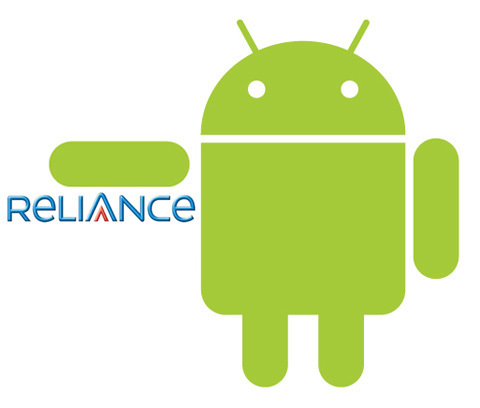 But for users who go in for this partnership of Android smartphone and Reliance’s connection will go on to get 1GB of 3G usage for 6 months free of cost. It is being said that Reliance is going to spend around Rs. 30 crore on marketing this partnership and an equal amount will be spent by Google too in publicising this deal. This initiative will allow users to retain a lot of its users and also let the company to add a few more users to its already large subscriber base. In the past we have seen Airtel and Aircel partner with Apple to launch its iPhone in India. Partnering with a company’s smartphone helps network operators to retain a lot of its current users and it also goes on to increase the spending of the smartphone users, say for Internet usage which goes on to benefit the operator.